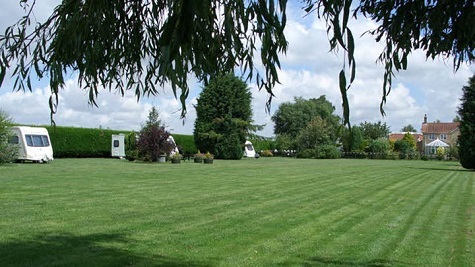 Details : Stay at Mere Oaks CL, only 7 miles from Lincoln City Centre and enjoy one of the "best small city breaks in the UK" (Which magazine) on our one acre level lawned site. We are within easy reach of the historic city of Lincoln with its splendid cathedral, castle, marina, university and paved shopping area. 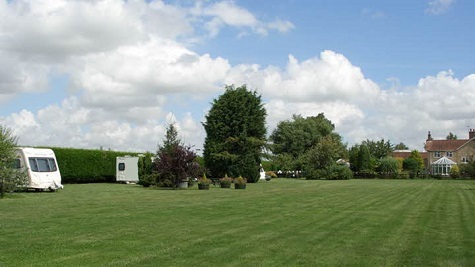 Within a short distance there are woodland walks opposite the site, fishing lakes and within easy walking distance we also have a very popular 9-hole golf course with modern clubhouse. There is also a well stocked information hut on site providing lots of choice of activities and places to visit during your stay. 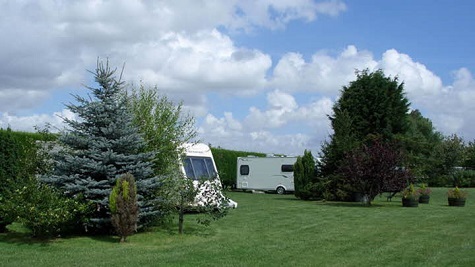 Facilities : Electric hook up available, Easy access, Suitable for Caravans Motorhomes and RVs, Grass pitches, Public transport nearby, Dogs allowed, Golf nearby, Fishing nearby, TV reception good. We stayed nine nights on this most fantastic CL early July 13. The owners were exceptional friendly and very helpful. The condition of this CL has to be one of the best we have experienced on in 43yrs of staying on CLs. Unfortunately the two closet pubs are closed. There is a very good Co-Op supermarket 3 miles away. The CL his surrounded by tall conifer hedges cutting out any views of the countryside but making the CL secluded. There is a bus every 30mins from Potteranworth which is about one mile from the CL to Lincoln City (can park the car easily in Potteranworth).The down side to this remarkable CL is the road noise which is worse at weekends because of motorcycles roaring past which is far louder than the HGVs passing during the week, so one needs to have a high tolerance to road noise if staying on this CL. There is a 40mph speed limit sign outside the CL for this tiny village but most drivers (not all) and especially motorcycles riders tend to ignore the limit so making the road noise more severe while passing the CL which is on the edge of the village. So 110% for the CL and 0” for its location alongside a noisy road. Many thanks for taking the time to write a review of this site. We are glad that you enjoyed your stay at Mere Oaks. The site owner has contacted us with a response to this review. 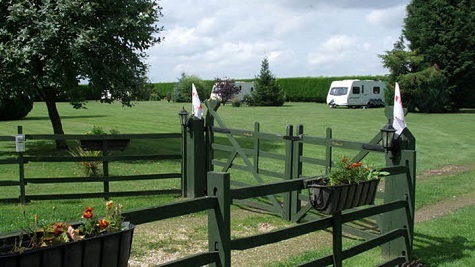 Have just returned from two nights at this beautifully well maintained and loved CL. The site is very well sheltered with a high perimeter conifer hedge. You are made to feel very welcome from the welcome sign on your pitch to the site information provided. We used this site as an opportunity to play golf at the very well appointed 9 hole golf course about 1/2 mile from the site. The dogs had a great time as there is a lovely walk through the woods only about 100m from the site. Ideal site for exploring the area. Only draw-back is the road noise. To be fair this does not spoil your evening or your sleep as the road is generally quieter in the evenings. Well done to Graham and Melody for producing such a lovely site. The pictures on the web site give you a very clear idea about the beauty of this site. We were made very welcome by the owners of this CL, they maintain this site to a very high standard. The road can be a bit busy at times, but did not spoil our time there. We went into Lincoln to see the Castle and other historic sites within it boundrys. We also found a number of good safe walks, all within a sort ramble of the CL's entrance. There are bird tables and picnic tables in this loverly landscaped CL for your respectful use. We think the owners deserve a full five stars for the easy going attitude and the welcome info pack, that they give with a smile! We recently stayed here for three days whilst we tried-out our latest acquisition - a tiny two berth Swift caravan. We live in North Lincolnshire, so we didn't really want to travel too far on our maiden outing, so in one respect Mere Oaks was a bit of pot luck. 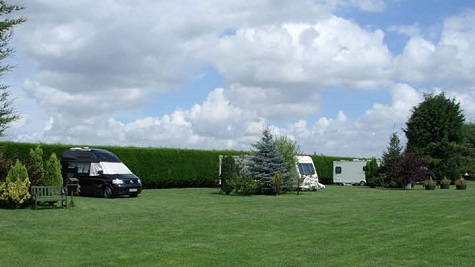 Negotiating our way through the road works at Lincoln at rush hour with a caravan on the back was somewhat hair-raising, but when we finally reached the site a were very impressed by the overall tidiness of the well-manicured camping field and the beautiful countryside surroundings. Right from the start we found the owners to be friendly and helpful which made our short stay here that much more welcoming. Overall we would say that this site is to be recommended, and we would definitely return. What a beautifully kept CL. 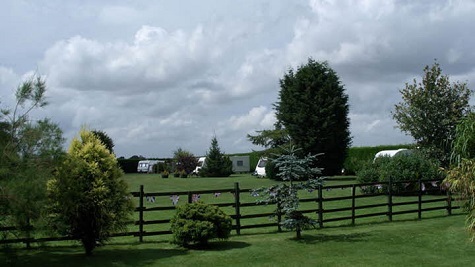 Melody and Graham are very welcoming and friendly and take pride in this easily accessible site. 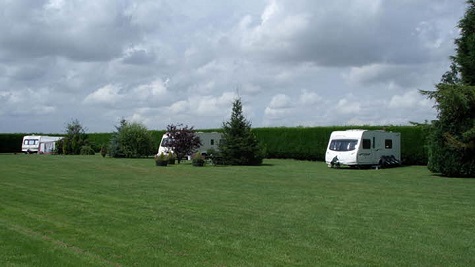 Very large pitches separated by shrubs making each pitch very private and the whole site is enclosed by a high hedge. As already stated the facilities are all well placed and spotlessly clean and tidy. A nice touch is the welcome sign with your name on indicating your pitch for the stay as is the welcome pack with local information. Lincoln is easy to get to being only a short drive away. Although there is some road noise, it is mainly commuter traffic and is quiet during the evening/ night and it didn't affect our stay. In fact we spent quite a few hours sitting in the sun relaxing in this lovely setting. We will be back. From the North: Turn right off the B1190 Lincoln - Bardney onto B1202 at Potterhanworth Booths signposted Potterhanworth. Site on the right in about 0.5 mile. From the South: Turn right off the A15 onto B1178 towards Potterhanworth Village, turn left onto B1202 signposted Bardney. 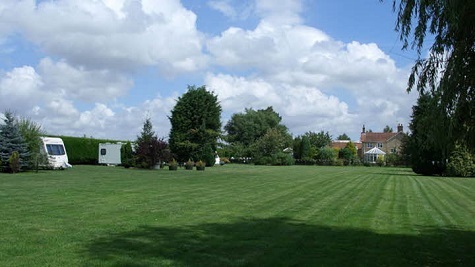 Site is on the left in 1 mile at Potterhanworth Booths.